OtoSome- Honda Prospect Motor (HPM) spelled out boldly to restore the sensation of driving a sedan that actually passes through the Honda Civic turbo. 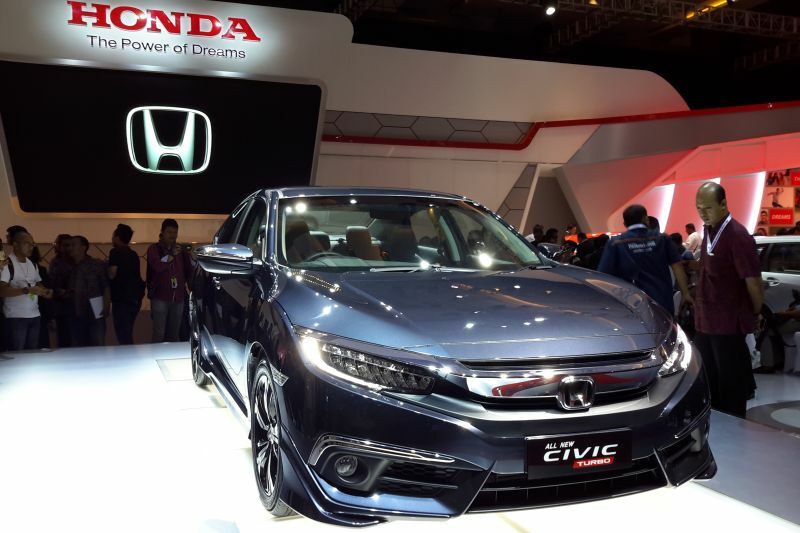 Honda Civic sedan other than back into a fun-to-drive, as well as be the first model in Indonesia that carries Honda turbo engines. Honda claims embedding turbo engine smaller Honda Civic this would have the advantage in fuel consumption which is more efficient than the larger-engined cars. "More efficient around 30 percent. Due to the smaller engine. But performance remains very unreliable because it supported the turbo," said Director of Marketing and Aftersales Service HPM, Jonfis Fandy. Honda Civic own engine capacity of 1.5 liters. Previously, there was a 1.8 liter and 2.0 liter. But now only available 1.5-liter engine, but supported turbo. The i-VTEC engine also promises responsive acceleration. Imagine, with power reaching 173 hp, but thanks to the active turbo start at 1,400 rpm, the maximum torque can be felt at 1,700 rpm. Honda has also been lengthened stroke and so increase the compression ratio of 10: 6. Material valve made from sodium simultaneously reset timing. On paper, peak torque is achieved from low rpm the turbo diesel engine like the character. So confident Honda Civic turbo acceleration promises will be very responsive. "This superiority. Sedan should be like this. Not only luxury, but the adrenaline was increased when driven," concludes Jonfis.